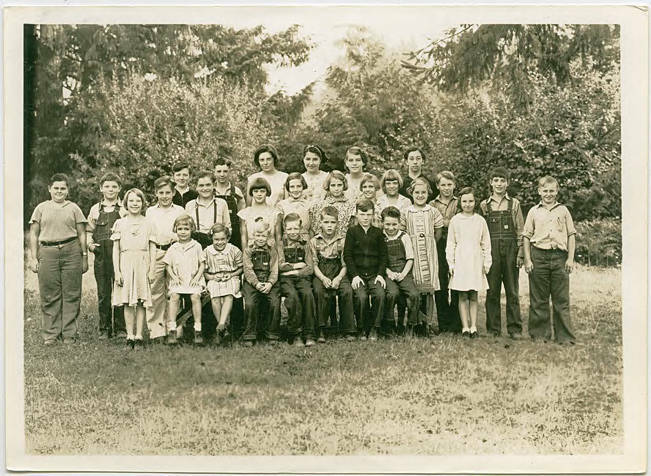 Black and white image of a students in the yard near their schoolhouse. Shadybrook School was north of North Plains; the building still exists today but has been remodeled into a private residence. Thirty-six students would have attended this school at one time or another in the mid-1930s.